Act now to keep WI safeguards on nuclear reactors! Do you believe that Wisconsin's energy choices should protect our environment, public health and economy? Then please contact your state legislators today! For decades, Wisconsin law has set two common-sense conditions that must be met before a new nuclear reactor can be built in the state: there must be a federally-licensed facility to store the radioactive nuclear waste, and the reactor must not place an undue financial burden on our residents and businesses. These safeguards have helped protect us from skyrocketing energy costs while preventing new radioactive waste stockpiles in Wisconsin. The nuclear lobby doesn't like this law, so they're trying to change it. Unfortunately, some state legislators are on their side. Assembly Bill 516 would entirely remove the safeguards on new nuclear reactors. The bill was introduced last month, with 25 Representatives and 10 Senators co-sponsoring. That's the most support a safeguard repeal measure has ever received! We know that state legislators are hearing from nuclear industry lobbyists on this issue. Now, they need to hear from you. Please take a few minutes to call your state legislators today, and ask them to oppose Assembly Bill 516. You can find out who your legislators are, and how to contact them, by clicking here. It is irresponsible to add more sources of radioactive nuclear waste when we already have nuclear waste stockpiled in the state, without any place to send it for safe, permanent storage. The highly radioactive waste remains toxic for hundreds of thousands, even millions, of years. Nuclear reactors are incredibly expensive. The cost to build a new nuclear reactor is estimated to be $10 billion and rising. The nuclear industry can't survive without massive subsidies from taxpayers and utility customers. Building new nuclear reactors won't help Wisconsin deal with climate change, because of the high price tag and long lead time involved. Investing in energy efficiency and renewables is a quicker, cheaper and much more effective way to reduce our carbon emissions. Please share the results of your calls with WNPJ's Carbon Free, Nuclear Free campaign coordinator Diane Farsetta, at farsettad@gmail.com or 608-250-9240. 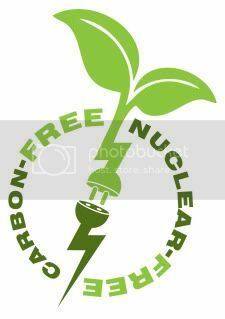 To keep updated on WNPJ's Carbon Free, Nuclear Free campaign, subscribe to our email newsletter by clicking here. For more about the campaign, see wnpj.org/cfnf.